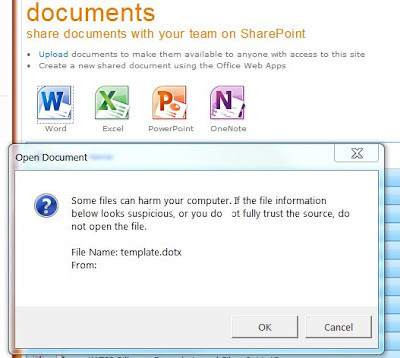 The Office 365 platform provides users with the ability to add Office 2010 documents from the ribbon menu. In some cases, these menu options are missing from the document library. The reason for this is that perhaps the library does not have the content type definition to know about those documents. Another reason is that the content type is defined, but the site is not associated with them. Click on the Create Link (top) and fill out the form as you see on the image. 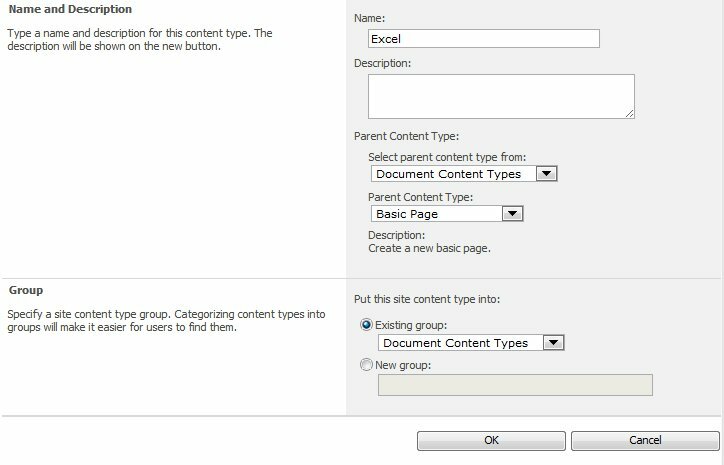 Notice the parent content type and existing group. 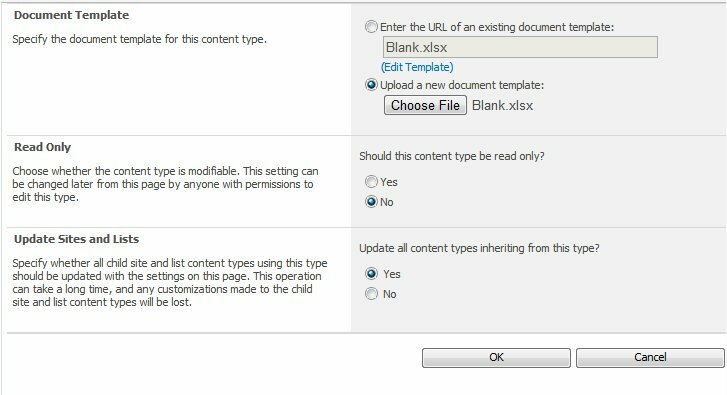 Now upload an Excel document template that you will like to use as the default template and press OK. This has added a content type with an associated document template. At this point, the site is not associated to this content type. The content type is now associated to the library. If you need to add additional documents, repeat the process and finish adding the other document content types. 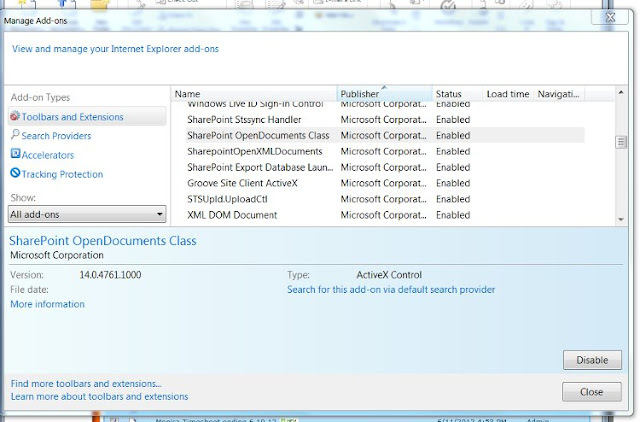 After you complete this, visit the document library again and click on the document tabs. 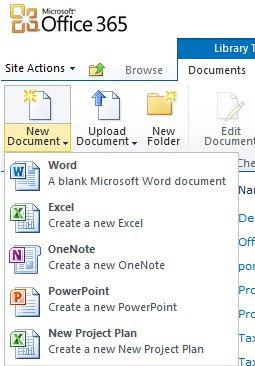 You should now see the menu options which allows the user to create new documents.